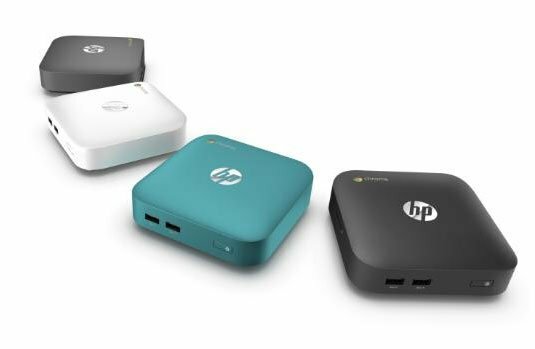 HP has started taking orders for its new line of Chromeboxes, but while some carry the low price tags we've come to expect from Chrome OS devices, others are surprisingly expensive. Intel spilled the beans last September that hardware makers would be offering desktop Chrome OS kit with Haswell processors this year, and Asus announced its entry into that field in February. What we hadn't grasped until now, though, is just how much the high-end CPU options for these devices would add to the cost. The entry-level HP Chromebox with a dual-core Intel Celeron 2955U processor clocked at 1.4GHz and 2GB of RAM can be had for just $179 – the same frugal starting price that Asus announced for its version with the same specs. Double the RAM and you'll pay $199. Drop a 2.1GHz Intel Core i7 4600U in there, though, and the price goes up – way up. A version like that with 4GB of RAM will cost you a whopping $629, so you might as well order the 8GB version for just $30 more. Not that tiny desktops necessarily have to be cheap. A Mac mini kitted out with a Core i7 will set you back $799. But remember, that's a Mac, running full OS X. These are Chrome OS devices, meaning they aren't really much more than glorified web browser kiosks. Sure, they're low maintenance and they're easy to use, but without an internet connection they're essentially useless. Accordingly, the rest of their specs aren't much to write home about. They each come with Intel HD Graphics, Realtek ALC283 sound, 10/100 Ethernet, 802.11b/g/n Wi-Fi, Bluetooth 4.0, HDMI, DisplayPort, and four USB 3.0 ports. And what about storage, you ask? So far, the only option for any of the models appears to be a 16GB solid-state drive. But then, these are Chromeboxes, so your storage needs won't be very demanding. Still, HP has offered Chromebooks with bigger drives in the past. The rest is up to you. The HP Chromeboxes come sans monitor, keyboard, or mouse. They also only seem to come in basic black, for now – the previously announced white, grey, and turquoise models must be coming later.